A virtue of the independent music scene is the joy in discovering artists for which the act of creating music is a deeply personal art. Nancy Beaudette, who hails from Cornwall, Ontario, but has made a name for herself in Central Massachusetts, is one such singer-songwriter. With South Branch Road, her eighth release, Beaudette’s homespun tales are the most fully realized of her nearly three-decade career. The image of a girl and her bike surfaces again on “Ride On,” a wispy ballad chronicling a daughter’s relationship with her father. The track, co-written by Beaudette, Kerry Chater, and Lynn Gillespie Chater, succeeds on the fact it doesn’t end with the father’s death, like these songs almost always do. The journey of life surfaces again on “Can’t Hold Back,” a mid-tempo ballad co-written with Rick Lang. 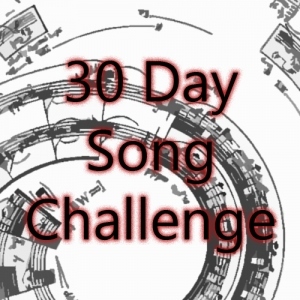 The track beautifully employs a nature metaphor that Beaudette and Lang keep fresh and exciting with their clever lyric. Beaudette solely penned the masterfully constructed “Something Tells Me,” the devastating centerpiece of South Branch Road. An unpredictable twist follows a story that sits in an air of mystery until the final verse belts you square in the gut. I haven’t felt this much emotion towards a song in years, probably because the woman in the song and my mom are the same age. Beaudette clearly isn’t a novice, as she smartly surrounds “Something Tells Me,” the most affecting number on South Branch Road, with joyous moments of levity. These moments are the heart and soul of the record, showcasing Beaudette’s everywoman nature and her ability to draw you in with her aptitude for turning narratives into conversations, as though you were just casually catching up over a cup of coffee. “’Till The Tomatoes Ripen” takes me back to my childhood and my grandfather’s tradition of planting an insanely large garden of the titular vegetable. I fondly remember the pleasure of going through the rows and picking the red ones by the basketful. Beaudette’s lyric conveys the much simpler notion of planting the garden itself and the contented happiness that comes from watching it grow. The peaceful oceanfront setting in which she places said garden only increases the joy abounding from the proceedings. “End of Line” is the purest country song on South Branch Road. Banjo and fiddle abound on a story about a couple, their love of watching trains, and the moment their relationship has to end. The rollicking tune feels almost like a prelude to “Between Your Heart and Mine,” a mournful ballad about a woman, a lost love, and a stroll across the Brooklyn Bridge. I can’t remember an instance when such a memorable walk was so delightfully clouded in ambiguity. “Build It Up” teams Beaudette with Marc Rossi, a Nashville-based songwriter who graduated from high school with my parents. The lyric details a farmhouse fire in the early 20th century and the way lives were altered as a result. The slicker production, which recalls Forget About It era Alison Krauss, is perfectly in service to the downbeat but catchy lyric. Opener “Starlight” harkens back to early 1990s Mary Chapin Carpenter with a gloriously bright production and Beaudette’s high energy vocal. South Branch Road is extraordinarily layered and nuanced. Channeling her inner Don Williams, Beaudette draws you in with her natural simplicity. Her songwriting gets to the heart of the matter by conveying emotion without bogging down the listener with unnecessarily clunky lyrics. She’s a master storyteller, which in turn has informed her ability to craft lyrical compositions that fully utilize this very rare gift. 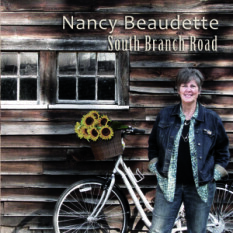 Beaudette’s relatability, and the personal connections I’ve found within these songs, drew me in to fully appreciate the magic of South Branch Road; a window into her soul. She’s constructed an album from the inside out, using her own life to give the listener a deeply personal tour of her many winds and roads, reflecting on the lessons learned around each curve and bend. Beaudette is already a bright bulb on the independent music scene but the release of South Branch Road demands that light shine even brighter.